David Rothberg is Executive Vice President, Chief Financial Officer for CPC. In this role he oversees the company’s Accounting and Corporate Finance departments. 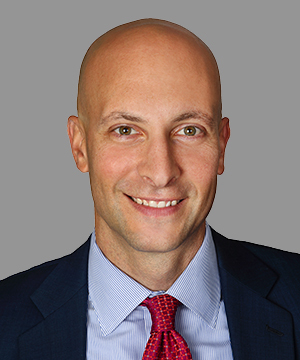 Mr. Rothberg joined CPC in 2012 as Senior Vice President, Financial Planning and Analysis. Prior to joining the company, Mr. Rothberg worked as a consultant for CPC with the Capstone Advisory Group where he played an instrumental role in assisting the company with its restructuring during Credit Agreement negotiations and the development of its business plan. As a Director at the Capstone Advisory Group, Mr. Rothberg was responsible for providing financial restructuring advisory services to the company’s clients. While there, he represented creditors and creditors’ committees including secured lenders, banks, financial institutions, lender groups, bondholders and unsecured creditors, as well as debtors through the bankruptcy process. During a nine-year career with The CIT Group, Mr. Rothberg served in numerous positions including Vice President, Business Development Officer and Vice President, Underwriter within the National Restructuring Group, as well as Assistant Vice President, Portfolio Manager – Underwriter within the Business Capital / Loan Purchasing and Commercial Services groups. Mr. Rothberg received a Bachelor of Arts in Economics from Duke University.